The Ideal Group – Mission of the Ideal group is working for better life and lifestyle! Ideal Concentration Design and Build Inc.
Mission of the Ideal group is working for better life and lifestyle! Ideal Construction completes projects from Start to finish. 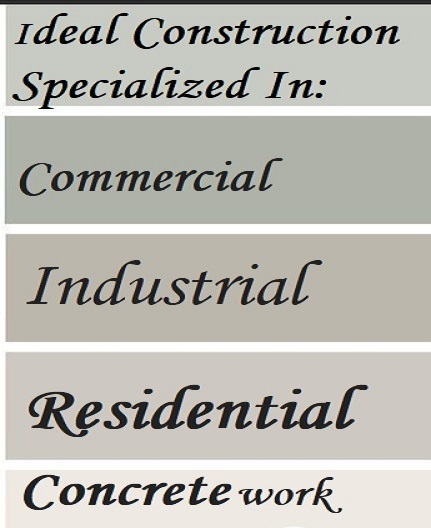 Ideal Construction’s expertise is in all kind of Concrete Work. Year 2018, Year of Success for Ideal. Support to make it Happen. Good NEWS from The Ideal Group!